The newly elected mayor and Town Council members will officially be sworn in for their terms during a ceremony set for 7 p.m. Thursday, Dec. 15. Mayor-elect Kelly Burk will be joined in the ceremony by elected incumbent Councilman Tom Dunn, and council members-elect Ken Reid and Ron Campbell. It will mark the first time since 2020 that a mayor other than Kristen Umstattd has been sworn into office following an election. Burk was first elected to the council in 2004, followed by four years as Leesburg District supervisor from 2007 to 2011. She rejoined the council in 2012 in a special election, and was re-elected to a new four-year term in 2014. 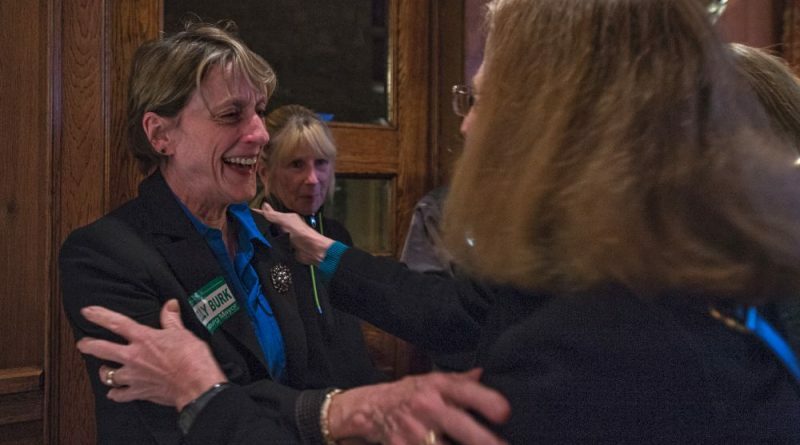 Umstattd was elected last year to represent the Leesburg District on the Board of Supervisors. This will be the third swearing-in ceremony for Dunn, who was first elected to the council in 2008 and re-elected twice thereafter. For Reid, it will mark a return to the council. First elected in 2006 and successfully re-elected four years later, he served on the Board of Supervisors as the town’s representative from 2011 to 2015. Campbell will be the only council member to be sworn in who has never served on the Town Council. In his first council race this November, he was the second highest vote-getter for one of three council seats. The ceremony will be held in the lower level conference room of Ida Lee Park Recreation Center, with a dessert reception to follow.